Notes: A fine felt slipmat containing carbon fibre designed to minimise static by discharging the record during play and enable dust particles to brush off easily afterwards. Pack of two. Notes: Pair of high quality felt slipmats. Notes: Pair of high quality slipmats with DB Classics logo. Notes: DMC branded high quality slipmat with the classic speedmat design - extra thin for extra spin! 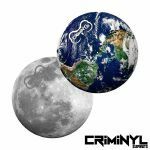 These slipmats will look great on your decks and are suitable for any set of vinyl turntables and portable scratch turntables. Great for turntablists & scratch DJs who swap between 12-inch and 7-inch vinyl, or who use a portable scratch turntable. Use directly on your deck or sit it on top of your 12" vinyl and away you go. Made from the fine but strong felt material, DMC slipmats are the no.1 choice for DJs and vinyl lovers across the world. Notes: DMC branded high quality slipmats with the classic speedmat design - extra thin for extra spin! Notes: Here we have a set of Technics branded high quality slipmats with the classic Technics logo in bold white print that are suitable for any set of vinyl decks. Made from the finest but strongest felt material, DMC slipmats are the No.1 choice for DJs and vinyl lovers across the World. Dependable & hard wearing, they are also resistant to dust & other particles, so will not scuff, scratch or damage vinyl. 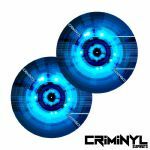 Great for your home, studio, club or in competition, these superior slipmats are your turntable and vinyl's best friend. Notes: Dr. Suzuki is a pioneer and legend in the DJ industry. As the inventor of the DJ slipmat, Dr Suzuki continues to develop the best slipmats in the world and brings the highest standard for all DJ's. Every slipmat was hand built with pride and confidence by our slipmat sensei. quality only found in Japan, Dr Suzuki brings you the Suzuki slipmat. The new look scratch slipmat for your portable setup come as a single slipmat. This 7" mat also come with 1 x slipsheets so you can add extra slip. The perfect slipmat for the scratch DJ or any style of DJing. Supplied in grey with white logo and made from the same quality material as the original Tablecloth slipmats. Notes: From the makers of the D-Styles Tablecloth slipmat comes the all new slipsheets for slipmats. Made in Japan by the world renowned slipmat manufacturer Dr Suzuki, these slip sheets are ideal for gaining the maximum amount of slip while still having the maximum amount of record control. These 7" slipsheets are perfect for use with your portable record player. 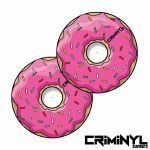 Best used with any of the range of Dr Suzuki slipmats, like the Kuttin Donuts but can also be used with any slipmat to give additional slip. The slip sheets are placed between the turntable platter and the slipmat. Notes: The Dr Suzuki Kuttin' Donuts 7" Slipmat is designed specifically for scratch DJs, with its lightweight and highly durable design, the Kuttin' Donuts 7" uses high density felt to reduce vibration and provide added stability for your records for an improved scratching performance. The specialised material Dr Suzuki uses for the slipmats results in the best performance and hand control on your turntable. One of the most unique features of the slipmat is its ability to reduce wobble/warp issues you may encounter while listening to warped or damaged records. This helps the record to sit snugly between the slipmat and needle for improved performance and audio fidelity. The slipmat is also breathable, for heat control on your vinyl record, minimising any warping or damage you may incur from extensive use. The superior durability and anti-static design will complement your scratching and protect your records while in use. Notes: Another slipmat innovation from the one and only Dr. Suzuki! This time the good doctor has all you 45 DJs in mind with the all new Kuttin Donuts slipmat. Featuring ultra thin construction, these mats are designed to have the record sit as flat as possible for the best possible performance and to lessen wobble/warp issues. With the popularity of 7" scratching growing stronger daily, this performance slipmat couldn't have come at a better time. Notes: Dr. Suzuki presents the versatile Mix Edition Slipmats. From Dr. Suzuki, the creator of the best-selling D-Styles Tablecloth comes the versatile Mix Edition Dr. Suzuki Slipmats. These slipmats were created especially for mix and routine DJs that need more control and find the Scratch Edition slipmats too slick. When compared to scratch specific slipmats, the Dr. Suzuki Mix Edition slipmats are noticeably thicker and engineered to resist shock and agitation. These sturdy anti-static mats also minimize the noise made when controlling the record for smoother mixes and performance. It also features a diameter slightly shorter than the record which prevents the slipmat from sticking to the vinyl when switching records. Scratching is still very possible with these mats (though you might want to add a slipsheet under for a looser feel). Great for DJ-ing of all genres, routines, battles, and digital control records (Serato, Traktor, etc). The new look scratch slipmats come as a pair. These 12" mats also come with 2 x slipsheets so you can add extra slip. The perfect slipmat for the scratch DJ or any style of DJing. Supplied in grey with white logo and made from the same quality material as the original Tablecloth slipmats. Notes: Here is the new high quality slipsheets, "Dr.Suzuki Slipsheets". Give your scratching some extra speed and control! Notes: He came from a different world to stare at you. Filthy alien, make him eat wax. Blue glow-in-the-dark slipmats from Glowtronics. Notes: These groovy slipmats from the Glowtronics glow-in-the-dark series don't really need any further explanation. The design speaks for itself! Notes: Glowtronics Classic non-glow slipmats are made from only the highest quality 16oz felt material, using a sublimation printing technique to print the slipmats. This method of slipmat printing has been crowned king for its ability to dye the fibres of the felt without leaving a residue or any sort of top surface feel. The inks will keep colours vibrate and from fading once printed. The artwork will last the life of the slipmat. All Glowtronics slipmats come with our specialized Glazed bottom surface, which has become the industries professional standard in slipmats. So, you can throw your wax paper and plastics in the trash; Glowtronics Glazed surface is putting "SLIP" back into SLIPMAT. Notes: Ya'll gonna learn Chinese, ya'll gonna learn Chinese! Crack the secret code on this non-glow slipmat from Glowtronics. Notes: Glowtronics new and improved Glow-in-the-Dark Slipmats are the only full colour glow-in-the-dark slipmats produced on planet earth. These improvements include a super soft top surface with small ribbed fibres. The fibres help clean your vinyl record while in use. All slipmats come with our specialized Glazed bottom surface, which has become the industries professional standard in slipmats. weeds and wooden nickel bags. Notes: O-Mazed One, funky, psychedelic slipmats from Glowtronics. Notes: Having an off night? Just can't seem to switch your brain on? We think this blue glow-in-the-dark slipmat may help you. Notes: Now that's attitude! This blast from the past is ready to spin the night away, with your retro glow-in-the-dark style by Glowtronics. Notes: Superstar DJ or superskull DJ? Either way you need this on the decks if you roll with the dark side! And they glow in the dark too. Notes: Mukatsuku 12'' cork slipmat, exclusive to Juno. 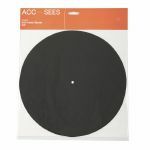 This 3mm slipmat should improve sound quality by reducing vibrations, and help reduce static electricity on your records. Comes with branded wooden 45 adapter + sticker. Notes: Pair of Mukatsuku 12'' cork slipmats, exclusive to Juno. 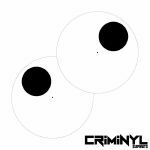 These 3mm slipmats should improve sound quality by reducing vibrations, and help reduce static electricity on your records. Comes with 2 branded wooden 45 adapters + sticker. Notes: Pair of high quality gold felt slipmats with Mukatsuku font logo tile printed in brown, with a clean white border. Notes: Mukatsuku Loves Vinyl 12" slipmat. Exclusive to Juno. Notes: "Mukatsuku Loves Vinyl" 7" slipmat. Exclusive to Juno.